Try layering a casual T-shirt under a blazer to add an effortless vibe to your suit look. 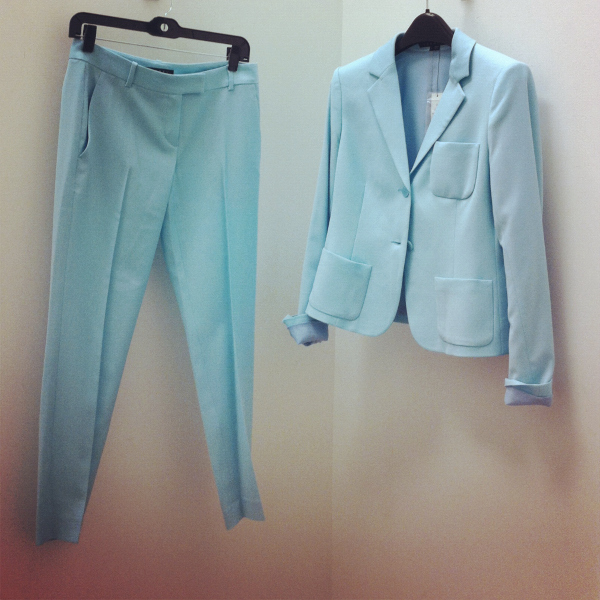 A pastel mint suit is a smart & stylish choice for summer workwear. 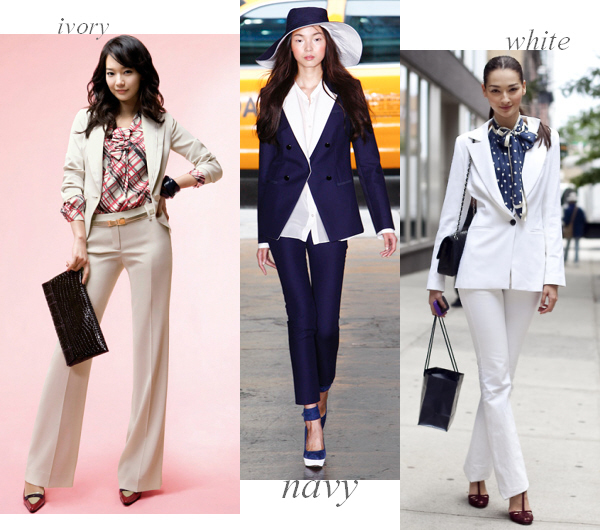 A polished short suit set can be appropriate for most offices especially in creative fields. New work looks from New York & Company. A light pink hue gives the suit a feminine vibe and it’s a smart way to incorporate pastel trends into your office wardrobe this spring & summer. A sleek red suit can be the perfect thing to help create seriously chic business attire. The outlet features chic, affordably priced items from coats and dresses to bags and shoes. 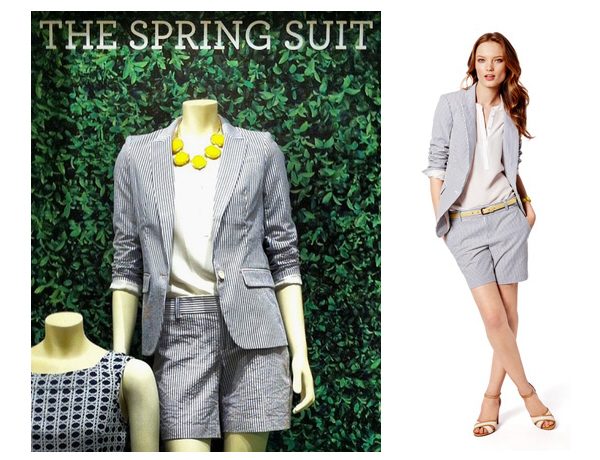 Right now we are really into light and cool colored suits for spring & summer of 2012.